In 2012 former British Foreign Secretary Jack Straw and his head of MI6 Counter-terrorism Sir Mark Allen were revealed to be implicated in secret deals with Libya's former dictator Muammar Gaddafi, his head of security Moussa Koussa, and the CIA, for the illegal apprehension and rendition for torture and interrogation of selected Libyan dissidents and their families. It remains a poisonous aspect of British foreign policy which our so-called democratic governments are desperate to conceal from press and public. 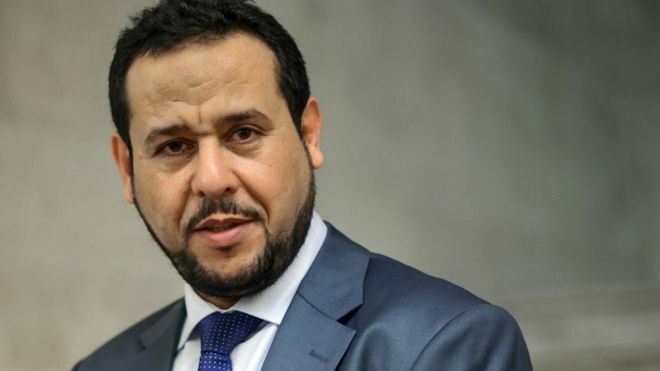 After two years of delaying tactics by Straw's lawyers, two cases finally reached the public domain: Abdul Hakim Belhaj and his pregnant wife, and that of Sami al-Saadi with his wife and four children. On the 30th October 2014 the Court of Appeal ruled that Belhaj had a right to sue Jack Straw, Sir Mark Allen and the British government and others for their part in the rendition of himself and his wife. Jack Straw argued that everything he had done was in accordance with British law. When challenged, Tony Blair, who was Prime Minister at the time of the renditions, claimed that he could not remember the event. Three appeal judges demanded that a light be shone into dark corners of the state's work - and not for the first time. Time and again the Court of Appeal has maintained that allegations of wrongdoing linked to security and intelligence must be examined if the rule of law is to be upheld. By their actions the role of Britain as an intelligence underling of the USA continues and is strengthened. Over the last two years lawyers acting for MI6 and the Foreign Office have twisted and turned to avoid public scrutiny of events. Today, however, there remains no escape from the truth. The Supreme Court has finally ruled that Straw and Sir Mark Allen must face up to the responsibility for their actions.